We can’t believe that Cooper is already six years old! Having to count your age on two hands instead of one is a pretty big deal, so we celebrated with a candy-filled carnival birthday party for him and all his Kindergarten buddies. 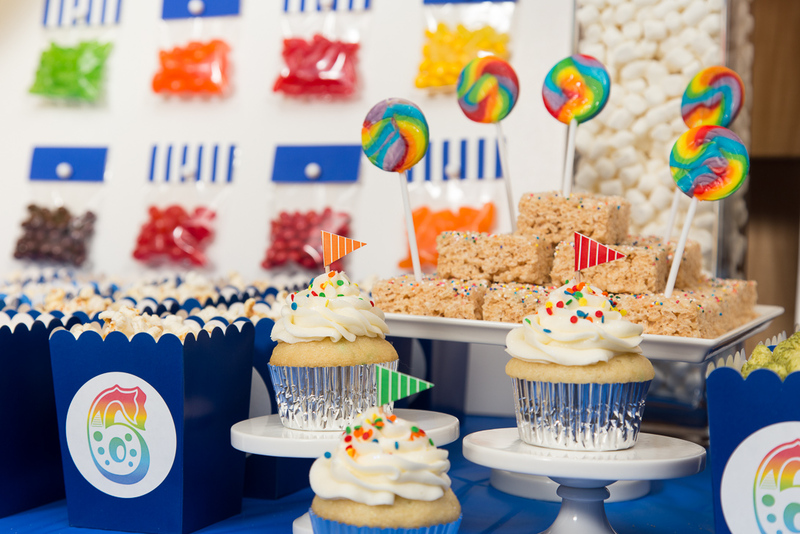 We filled up our building lounge with 100 brightly colored balloons and created a sweets table inspired by an Amy Atlas book given to me by our talented friend Marissa Levy. 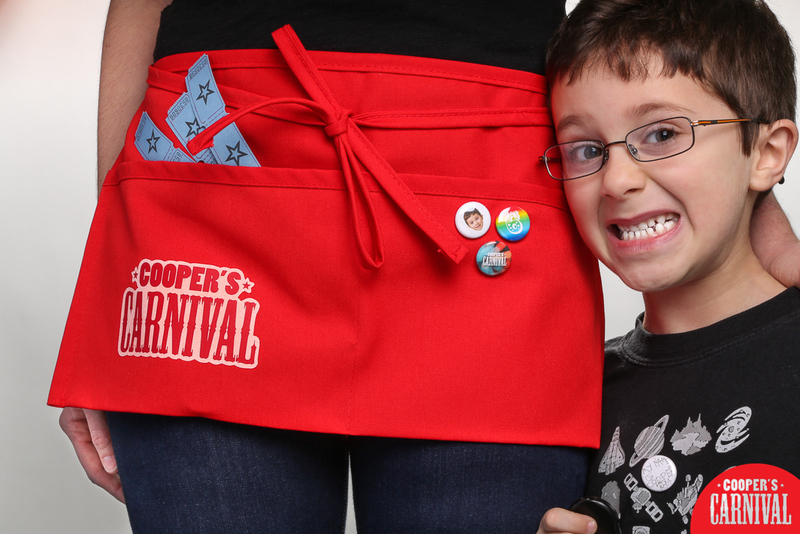 We created our own birthday buttons (a Richmond tradition), and I wore a custom red pocket apron like a true carny! Coop and his friends played classic carnival games, inked themselves with temporary tattoos by Tattly (thanks, Tina!) 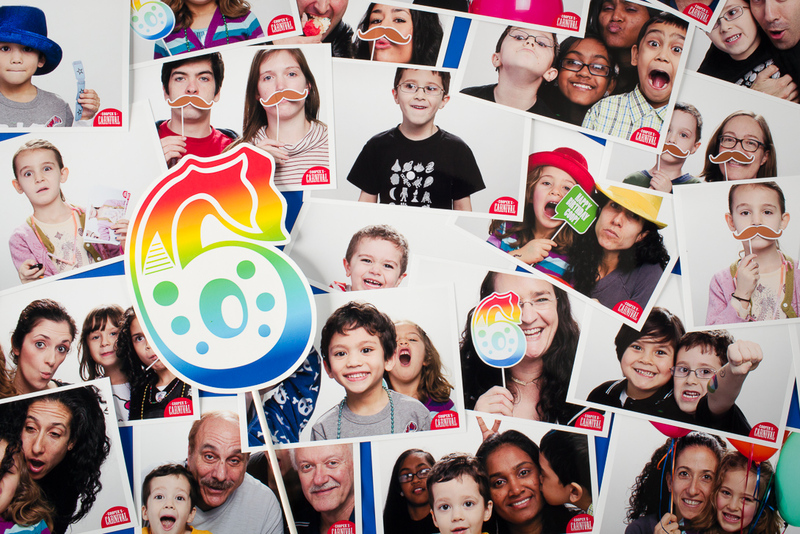 and beat the heck out of a number 6 pinata… but the biggest hit was the amazingly fun photo booth! Matthew used some pretty sweet camera equipment and his perfect lighting skills to create a pro-style set so the kids could snap their own epic shots. We set out silly props like hats, beads and mustaches and talk bubbles on sticks. Our friend – and really good sport – Eric ran the printing station so everyone got to take their photos home with them. I think the parents had as much fun as the kids! When it came time to sing “happy birthday,” the kids munched on super delicious and festive color surprise cupcakes by Kristin Cimonetti.